Join your school/departmental Green Team, or start one! The best way to make an impact is to join your school/departmental Green Team. Teams are tasked with implementing initiatives that directly affect their operations. To find out who is involved in your department contact us. Some of Humber's schools and departments have created Green Teams, who contribute ideas, host activities, and promote sustainable practices within their respective areas and throughout the college. The Green Team program is an effort to involve members of the campus community, at all levels, to help realize the vision outlined in the Sustainability Plan. The Sustainability Committees and Office of Sustainability work with and provide support to the Green Teams. Does your department or school have a Green Team? The guide below will help your Green Team get started in a few simple steps! Be sure to contact us if you need help getting started. A Green Team doesn't have to be time consuming! 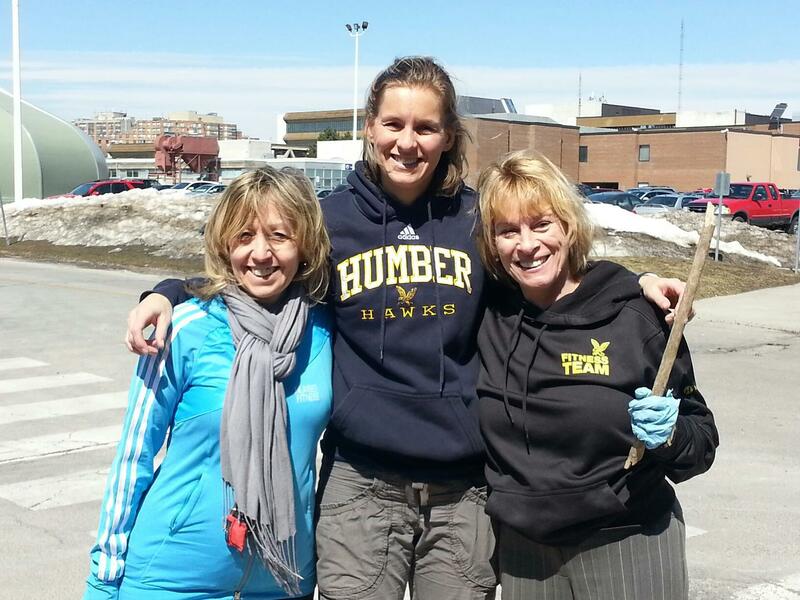 Humber's goal is to have a Green Team in every department and school on campus. We need your help to make that happen! Congratulations! By taking a meaningful approach to planning your event in a more sustainable manner, you have contributed to a foundation of knowledge in event sustainability as one of Canada’s Greenest Employers. What is a green event? Green events focus on minimizing the impact on the environment in small, easy ways, including paper reduction, food and beverages and waste management. Remember, sustainable events are not all or nothing. You choose the options that meet your needs. Paper Reduction: Does your event include documents, handouts or sign-up sheets? Ensure that all notes and other information are available online instead of printing. Use PowerPoints and encourage your participants to bring a laptop or an iPad to view items on. If printing can’t be avoided, be sure to use Earth Smart Printing and double-sided pages. Creating signs without dates to be reused in the future is also a great way to cut down on paper! Food and Beverage: Cut down on your recycling by requesting water pitchers and glasses instead of water bottles in your catering order. Also request reusable cutlery and china, instead of disposable plates and cutlery. Ordering coffee and tea? Request Fairtrade-certified coffee to ensure you’re making a positive impact in farmers’ lives. Waste Management: Ensure that waste management (including recycling and composting) is conveniently located at identifiable receptacles. This is an easy way for items used during the meeting or event to be disposed of properly. Transportation: Is your meeting being held offsite? Consider carpooling with a coworker or moving your meeting online through Skype or teleconference service, WebEx, to decrease your environmental footprint. Also, look for venues that are LEED, BOMA Best, PassiveHouse or WELL building certified. For more information visit www.humber.ca/sustainability or www.greenmeetingninjas.com. To access these benefits, make sure your CaGBC profile is connected to Humber College's membership. Sign-in to www.cagbc.org and go to "My CaGBC -> My Profile"
You may land on a page that reads "There are no records. You are not due for renewal no fees applicable." This means your free Chapter membership was successfully activated. When you sign-in to your next online session, your profile will have Member Type: MI with Chapter memb. Should you receive an error message or if your Member Type reads "Chapter Member," please contact Customer Service at info@cagbc.org or 866-941-1184 x8079 for assistance.